Tyler A. Kelly’s practice focuses primarily on real estate law, construction law, and business law. In his construction practice, Mr. Kelly handles all aspects of representation from contract drafting to mechanic’s lien foreclosures, CSLB complaints, and competitive bidding. As a real estate attorney, Mr. Kelly advises clients in an array of real estate transactions and litigation, including commercial leases, purchase agreements, easements, eminent domain, and partition suits. Mr. Kelly also has extensive experience in business law and has assisted clients in a wide range of fields from the ag industry to the tech industry in all aspects of business transactions and litigation. 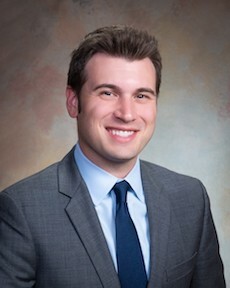 Mr. Kelly graduated from the University of California Hastings College of the Law in 2012. While attending law school, Mr. Kelly excelled on the Hastings Alternative Dispute Resolution Team, and served as a student-coach. While he was attending law school, Mr. Kelly furthered his understanding of business transactions at Nickelodeon Animation Studios, Inc., working on talent, creator, and blanket vendor contracts. Prior to attending law school, Mr. Kelly obtained a B.A. in Political Science from the University of California, Santa Cruz where Mr. Kelly was named an academic all-American by the Association of Collegiate Water Polo Coaches. After school, Mr. Kelly returned to his hometown of Modesto. Mr. Kelly is admitted to practice before all the courts of the State of California and the United States District Court for the Eastern District of California. He is also a member of the Stanislaus County Bar Association, and Del Rio County Club.